According to a mechanistic, naturalistic view of the universe, and thus of origins, the whole of reality is evolution — a single process of self-transformation. Everything in the universe, according to this view, has evolved from a primordial chaotic or random state of matter. This evolutionary continuum thus requires that life arose on this planet (or on some planet, at least) from inanimate matter via chemical and physical processes still operating today. It is generally believed that these processes acted for many tens of millions of years, most likely hundreds of millions of years, before true cellular life was brought into being. The immensity of the problem is rarely appreciated by laymen, and is generally ignored by evolutionary scientists, themselves. The simplest form of life imaginable would require hundreds of different kinds of molecules, perhaps thousands, most of them large and very complex. With respect to this point, Van Rensselaer Potter states, "It is possible to hazard a guess that the number is not less than 1,000, but whether it is 3,000 or 10,000 or greater is anyone's guess. "2 This statement not only acknowledges the immensity of the problem, but also is a tacit admission of how little is really known or knowable about the problem. In addition to these many molecules, which would include the large and complex protein, DNA and RNA molecules, each with up to several hundred subunits arranged in a precise sequence, the origin of life would require many complex and dynamically functional structures, such as membranes, ribosomes, mitochondria (or energy-producing complexes of some kind), etc. Furthermore, life requires marvelous coordination in time and space, with many regulatory mechanisms. To believe that all of this came about by mere chemical and physical processes, does indeed constitute an immense exercise of faith. Origin of life theories require a primitive earth model that includes conditions that would tolerate postulated chemical reactions which are believed to have been involved in processes leading to the origin of life. It is the general consensus of geologists that the oceans would have formed rapidly, and thus early in the earth's history, and it has been generally assumed that the pH and temperature of the ocean would always have been approximately the same as at the present time. Evolution of life theorists are forced to postulate, however, that the primitive earth atmosphere was very different from the present atmosphere. The present atmosphere consists of about 78% nitrogen, 21% oxygen, and 1% of other gases, including argon, carbon dioxide, and water vapor. If the primitive earth atmosphere contained a significant quantity of oxygen, however, an evolutionary origin of life would have been thermodynamically impossible, since all substances would have been oxidized to carbon dioxide, water, nitrogen, and other oxidized products, leaving no organic chemical compounds to serve as precursors for biochemical evolution. Evolutionists are thus forced to assume, a priori, that the primitive earth atmosphere contained no oxygen, but rather contained hydrogen, and that carbon existed mainly in the form of methane and/or carbon monoxide. Even some evolutionists have found difficulties with these assumptions, however. Brinkman has maintained, for example, that a high rate of photolysis of atmospheric water vapor by ultraviolet light would have generated a significant quantity of oxygen very early in the earth's history,29 and Davidson has stated his conviction that there is no evidence that the atmosphere ever differed greatly from that of the present.30 If this is so, then a naturalistic origin of life could be eliminated without further discussion. Abelson postulates a reducing atmosphere (i.e., devoid of free oxygen) in which carbon was mainly in the form of carbon monoxide, nitrogen existed as free nitrogen, and in which free hydrogen existed instead of free oxygen. One can arrive at such a conclusion only by employing a series of highly speculative assumptions, however. A reducing atmosphere is required for an evolutionary origin of life, so it is simply assumed by evolutionists to have existed. The metabolism of even the simplest form of life imaginable would have required a wide variety of metabolites for its energy sources and other needs. Furthermore, vast quantities of amino acids, the building blocks or subunits of proteins; purines, and pyrimidines, constituents of DNA and RNA; and sugars, constituents of complex carbohydrates and of DNA and RNA, would have been required. Even if the dubious assumption is made that a primitive ocean system would have contained only 10% as much water as the present ocean, that would still amount to about 35 million cubic miles of water. Efficient methods of producing these compounds would have had to exist, then, since many billions of tons of each would have been required to give a significant concentration in such a vast body of water. In 1953 Stanley Miller announced the first successful synthesis of amino acids and of a few other simple organic chemical compounds under assumed primitive earth conditions.34 Miller circulated a mixture of methane, ammonia, hydrogen, and water vapor through an apparatus containing an electrical discharge chamber. Products of the reaction were collected in a cold trap. After circulating the gases for about a week, Miller analyzed the aqueous solution in the trap. 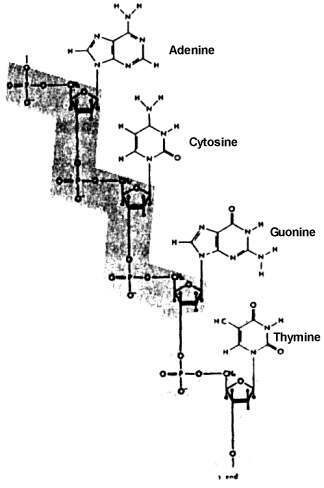 He found that it contained glycine and alanine, the two simplest amino acids, plus small amounts of two other amino acids, glutamic acid and aspartic acid. In addition to these amino acids, which are constituents of proteins, several other nonprotein amino acids, as well as a number of amines and acids were found. The first thing that must be emphasized about these results is that while the production of these compounds is a vital necessity in any origin of life scheme, success at this stage is many orders of magnitude easier to achieve than success at the next stage, which would include arranging these subunits in the precise order required for biologically active proteins, DNA and RNA. Furthermore, bringing these large biologically active molecules together into a coordinated functional system required for a living cell is again many orders of magnitude more difficult and less likely. In other words, even if these results are accepted uncritically, they are trivial in view of the immensity of the overall problem. Secondly, the success that was achieved in these experiments, limited as this actually may have been, was due to special conditions imposed by the research scientists, conditions that would not have existed on the primitive earth. In all origin of life experiments in which significant quantities of amino acids and other products have been produced, a trap or some means was used to isolate the product from the energy source used for the synthesis. 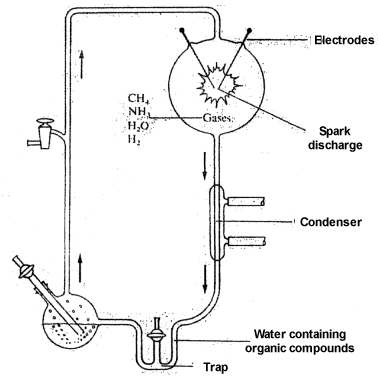 In Miller's experiment,34 for example, products produced in the sparking chamber were swept into a trap which isolated the non-volatile products. The gases continued to sweep through the sparking chamber, any minute quantity of non-volatile products being immediately trapped out and isolated so that they were no longer exposed to the energy source. Without this feature, no detectable quantity of product would ever have been produced. Any energy source, in the above case the heat and radiant energy produced by the electrical discharge, is far more efficient in the destruction of the products than in their production, the quantum yield of destruction being many times the quantum yield in the synthetic step.36-37 Furthermore, the amount of radiation available from the sun at the wave lengths at which these gases absorb (below 1500 angstroms), and thus available for synthesis, is less than one-thousandth of the light (up to 3500 angstroms) absorbed by the products, and thus available for destruction. The overall result is that destruction is 10,000 to 100,000 times more effective than production. The time required for any products produced in the atmosphere to reach the ocean would have been several years.36,37 During that time these products would be subject to the destructive effects of ultraviolet light, electrical discharges, and cosmic rays. Unfortunately, there were no organic chemists on the primitive earth to trap out products. Practically none of the products therefore would reach the surface of the earth in significant quantity. Even the ocean would provide no haven of safety, for rates of destruction there would far exceed the rates at which these compounds could have involved in further syntheses.37,38 With reference to rates of destruction in the ocean, Miller and Orgel state "The rates of depurination of DNA, of hydrolysis of peptide and polynucleotide polymers, and of decomposition of sugars, are so large that it seems impossible that such compounds could have accumulated in aqueous solution and have been used in the first organism, unless the temperature was low. "39 Later on, these same investigators state that because of the instability of organic compounds, there is a compelling argument that life could not have arisen in the ocean unless the temperature was below 25o C. They state that a temperature of 0o C would have helped greatly and that -21o would have been even better (at this temperature the ocean would have been frozen solid). Thus, even if these compounds could have survived transit from the atmosphere to the ocean, which is contraindicated by all available evidence, these prominent origin of life chemists assert that these compounds could not have survived there unless the temperature of the ocean was about 0o C or lower. Could the ocean have been that cold four billion years ago on a ball that is supposed to have been cooling from a molten state for four and a half billion years to reach its present state, which still retains a large molten core? If the temperature were low enough to prevent the more facile destructive reactions, how could further reactions leading toward the origin of life have occurred? When origin of life theorists finally face up to the real facts, they are forced to make assumptions that are increasingly untenable. The accumulation of significant quantities of even these simple organic chemical compounds seems definitely to be precluded, then, by the fact that their rates of destruction in the atmosphere and in the ocean would have far exceeded the rates at which they could have accumulated by synthesis. Hulett, in his excellent paper, after carefully and thoroughly considering all facets of the problem says, "It is in fact hard to reconcile the thermodynamic and kinetic characteristics of these compounds with the postulated pathways for chemical evolution in the primitive environment. "40 He still believes, nevertheless, that life must have evolved at least once, because life does, in fact, exist. There are yet a number of other problems. 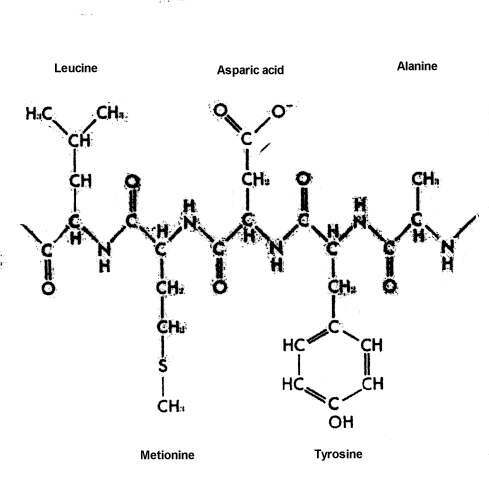 Amino acids react with sugars with mutual destruction of each, yet each would have been needed for the origin of life -- amino acids to form proteins and sugars as constituents of DNA and RNA. Phosphoric acid is a constituent of DNA and RNA as well as a constituent in other important compounds. All of the phosphoric acid in the primitive ocean, however, would have been precipitated as the insoluble calcium salt. It does indeed appear that even at the level of simple organic chemical compounds, there would have been chemical, thermodynamic, and kinetic barriers to processes required for the origin of life. In fact, if origin of life theorists carefully considered proven scientific principles, there would be no origin of life theorists. The origin of a significant quantity of the large, complex macromolecules -- proteins, DNA, RNA, and complex carbohydrates -- is a problem that dwarfs all earlier problems, as impossible as their solution may seem. Huge quantities, billions of tons, of each of these molecules that eventually became involved in living systems, would have had to have been produced. These molecules generally have from more than one hundred to several hundred subunits arranged in precise sequence in the case of proteins, and up to several thousand precisely ordered subunits in the case of DNA and RNA. These large molecules are long chains, with the subunits constituting the links in the chain. The subunits, or links, in proteins consist of amino acids. Of the hundreds of amino acids that are chemically possible, only 20 are found in proteins. The subunits of DNA, which make up the genetic material or genes, and of RNA, material used by the cell to translate the genetic messages contained in the genes into the specific structure of proteins and other structures found in living things, consist of four different kinds of nucleotides, units which include a sugar, phosphoric acid, and one of four purines or pyrimidines. The first problem involved in the origin of these large complex molecules is the fact that there is a thermodynamic barrier to their spontaneous synthesis by chemical and physical processes. The formation of the chemical bonds between amino acids to form proteins; or between sugars, phosphoric acid, and the purines and pyrimidines to form nucleotides; and between the nucleotides to form DNA and RNA, requires an input of energy. Rupture of any of these bonds, on the other hand, releases energy. What happens naturally and spontaneously, therefore, is not the formation of these compounds, but their destruction. Automobiles do not spontaneously run uphill, they spontaneously run downhill. To drive an automobile uphill requires the expenditure of energy, and specific means must be used to utilize that energy, namely a complex engine and drive train. As long as this mechanism is operating, the automobile can be driven uphill, but if the motor stalls, or the automobile runs out of gas, it promptly runs back down to the bottom of the hill. So it would have been with these complex molecules. Only what could have happened naturally and spontaneously would have happened on the primordial earth. Proteins and DNA and RNA do not form naturally and spontaneously, but if they do exist, they spontaneously disintegrate. How then could they ever have formed on the hypothetical primitive earth by natural processes? What mechanism or machinery could have existed on the primordial earth to force the synthesis of these molecules, to force chemical processes to run uphill against all the natural forces that would tend to make them run downhill? On the face of it, this problem defies explanation. Although a variety of attempts have been made to solve the problem, no plausible explanation has yet appeared. This discussion will continue in the next article in this series on the origin of life which will appear in a future issue. 1 J. D. Bernal, in The Origins of Prebiological Systems and of Their Molecular Matrices, Ed. S. W. Fox, Academic Press, New York, 1965, p. 52. 2 Van Rennselaer Potter, " Bioethics," in Perspectives in Biology and Medicine, Autumn 1970, p. 139. 3 W. R. Corliss, The Viking Mission to Mars, National Aeronautics and Space Administration, Washington, D.C., 1974, p.2. 4 F. S. Ruth, Ed., Space Resources for Teachers: Biology, National Aeronautics and Space Administration, Washington, D.C., 1969. 5 R. M. Lawrence, Ed., Space Resources for Teachers: Chemistry, National Aeronautics and Space Administration, Washington, D.C., 1971. 6 S. W. Fox, Ed., The Origins of Prebiological Systems and of Their Molecular Matrices, Academic Press, New York, 1965. 7 L. Margulis, Ed. Origins of Life I, Gordon and Breach, New York, 1970. 8 L. Margulis, Ed. Origins of Life II, Gordon and Breach, New York, 1971. 9 A. P. Kimball and J. Oro, Eds., Prebiotic and Biochemical Evolution, North-Holland, Amsterdam, 1971. 10 L. Margulis, Ed., Origins of Life: Chemistry and Radioastronomy, Springer, New York, 1973. 11 A. I. Oparin, The Origin of Life on the Earth, Academic Press, New York, 1957. 12 J. Keosian, The Origin of Life, Reinhold Pub. Co., New York, 1964. 13 J. D. Bernal, The Origin of Life, World Pub. Co., Cleveland, 1967. 14 M. Calvin, Chemical Evolution, Oxford U. Press, New York, 1969. 15 D. H. Kenyon and G. Steinman, Biochemical Predestination, McGraw-Hill, New York, 1969. 16 S. W. Fox and K. Dose, Molecular Evolution and the Origin of Life, Freeman Pub. Co., San Francisco, 1972. 17 S. L. Miller and L. E. Orgel, The Origins of Life on the Earth, Prentice-Hall, Englewood Cliffs, New Jersey, 1973. 18 N. H. Horowitz, F. D. Drake, S. L. Miller, L. E. Orgel, and C. Sagan, "The Origins of Life" in Biology and the Future of Man, Ed. P. Handier, Oxford U. Press, New York, 1970. 19 R. M. Lemmon, "Chemical Evolution," Chemical Reviews, Vol. 70, pp. 95-109 (1970). 20 Cyril Ponnamperuna, Scientific and Technical Aerospace Report, Volume 4, page 1811 (1966). 21 E. Stephen-Sherwood and J. Oro, "Recent Syntheses of Biorganic Molecules," Space Life Sciences, Vol. 4, pp. 5-31 (1973). 22 N. H. Horowitz and J. S. Hubbard, "The Origin of Life," Annual Review of Genetics, Vol. 8, pp. 393-408 (1974). 23 H. R. Hulett, "Limitations on Prebiological Synthesis," Journal of Theoretical Biology, Vol. 24, pp. 56-72 (1969). 24 M. Eigen, "Self Organization of Matter and the Evolution of Biological Macromolecules," Naturwissenschaften, Vol. 58, pp. 465-523. 25 S. Black, "A Theory on the Origin of Life," Advances in Enzymology, Vol. 38, pp. 193-234 (1973). 26 A. E. Wilder-Smith, The Creation of Life, Harold Shaw Publishers, Wheaton, Il. 1970. 27 D. T. Gish, Speculations and Experiments Related to Theories on the Origin of Life: A Critique, Institute for Creation Research, San Diego, 1972. 28 D. England, A Christian View of Origins, Baker Book House, Grand Rapids, Michigan, 1972. 29 R. T. Brinkman, "Dissociation of Water Vapor and Evolution of Oxygen in the Terrestrial Atmosphere," Journal of Geophysical Research, Vol. 74, p. 5355 (1969). 30 C. F. Davidson, "Geochemical Aspects of Atmospheric Evolution," Proceedings National Academy of Science, Vol. 53, p. 1194 (1965). 31 P. H. Abelson, "Chemical Events on the Primitive Earth," Proceedings National Academy of Science, Vol. 55, pp. 1365-1372 (1966). 32 J. P. Ferris and D. E. Nicodem, "Ammonia Photolysis and the Role of Ammonia in Chemical Evolution," Nature, Vol. 238, pp. 268-269 (1972). 33 J. L. Bada and S. L. Miller, "Ammonium Ion Concentration in the Primitive Ocean," Science, Vol. 159, pp. 423-425 (1968). 34 S. L. Miller, "A Production of Amino Acids under Possible Primitive Earth Conditions," Science, Vol. 117, pp. 528-529 (1953). 35 Reference 15, p. 158. 36 Reference 23, p. 60. 37 D. E. Hull, "Thermodynamics and Kinetics of Spontaneous Generation," Nature, Vol. 186, pp. 693-695 (1960). 38 Reference 23, p. 61. 39 Reference 17, p. 126. 40 Reference 23, p. 70. * An elaboration of this material in much greater detail may be found in Dr. Gish’s monograph, "Speculations and Experiments Related to Theories on the Origin of Life," Creation-Life Publishers, 1972. **Dr. Gish is Vice President of ICR. Cite this article: Duane Gish, Ph.D. 1976. Origin of Life: Critique of Early Stage Chemical Evolution Theories. Acts & Facts. 5 (1).